Chi Nei Tsang: Emotional benefits; improves blood, nerve lymph supply to a dozen major organs! We all feel great after having a massage, especially those of us who are tending to the mind-body connection through doing a regular yoga practice. Some people report feelings of bliss after a massage, but is this type of healing or therapy really sustainable? Can it actually make a lasting impact and truly heal the body? Can yoga truly heal the body, or do we need to go a bit deeper and look at the core issues which cause us to experience pain in the first place? Many people who are beginning their yoga or meditation journeys, may start out wanting to do yoga for flexibility or for overall health reasons. When a practitioner goes deeper than Yoga (and therefore deeper into the awareness of what the body and mind is trying to tell us), an awareness of needing to get to the emotional “root” of the pain, injury, or illness will occur. In addition to yoga, a surge of interest has occurred in relation to a massage technique done only on the organs in the stomach in order to get to the emotional causes of deep rooted dis-ease. This kind of detoxifying massage comes from China, and is known as Chi Nei Tsang. Also taught in Northern Thailand, Chi Nei Tsang is an ancient Taoist practice which gently (yet deeply) works the organs on all levels–physically, emotionally and spiritually–in order to make them work more efficiently and to heal unprocessed negative emotions that the person has repressed throughout their life. Chi Nei Tsang literally means working the energy of the internal organs. In a systematic manner, the abdomen is warmed with oil prepared with palming massage strokes, and then worked from the right side to the left side. They finish by grounding the person with other massage techniques on the legs, arms and face. Organs and arteries are worked on deeply and sometimes painfully. When there is pain or transference of sensation, there may also be toxins that show up as a yellowing on the practitioner’s gloves. You will feel some areas of both hardness and softness, and may experience an inability to breathe followed by a deeper ability to digest life and all its nutrients upon completion of a session. When a person’s abdomen is blocked, large, or hardened, multiple sessions are recommended. It is much easier to give a session to a yogi who has also done deep internal work on themselves, such as emotional release therapies. All of the body’s systems–digestive, respiratory, cardiovascular, lymphatic, nervous, endocrine, urinary, and reproductive –are addressed in a session. All emotion experienced needs to be processed on a physical level, and this is where discomfort can occur. In between intense times (such as the kidney point, for example), the the receiver may find themselves falling asleep. It is important to emphasise that the Chi Nei Tsang practitioner neither treats symptoms, nor attempts to cure illness. Chi Nei Tsang addresses the whole person and can be of particular benefit to contemporary problems caused by stress such as sleep disorders; digestive disorders involving the liver, gallbladder or kidneys; nervous disorders such as anxiety and depression; and autoimmune disorders such as Lupus and chronic fatigue syndrome. Additionally, Chi Nei Tsang can help to speed healing from injury or trauma and is known for its healing and almost mystical work with endometriosis and fertility, or sexual issues for women and men. In the Tao system, each organ is known to hold different negative emotions. For example: the liver holds anger, the kidneys hold fear and the stomach holds worry. When massaged intentionally, these lower emotions can be eliminated in the body, and a shift can come (at anytime) for the person who has received a treatment. 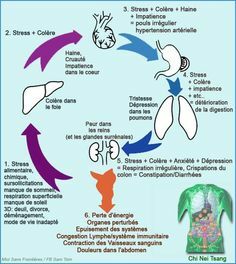 It is a system designed to precipitate change by bringing awareness to the internal organs. It also makes you more aware on the emotional level of the body, thus inducing the body to heal itself. Regardless of if your condition is physical or emotionally manifested, there is no condition that is not addressed. It seems to have a mystical quality of healing that many are seeking for optimal health and as an addition to a physical yoga practice. Giving it a try, or learning how to share it with someone else, can definitely give you the experience or change in bodywork that you may be looking for. Its greatest benefits occur for people fasting or doing a detox. Be sure not to eat anything at least three hours before a session. Shelby is available on Tuesdays and Thursdays at New Leaf Natural therapies. You are currently browsing the New Leaf Blog blog archives for March, 2019.